OUT OF TOWN/LOCAL BUYERS – DO YOU NEED HELP INVESTING OR BUYING A HOME? THE TOTH TEAM WELCOMES YOU! Hello! Bonjour! Hola! Guten Tag! Dia dhuit! Xin Chao! Parev! Hei! So let me guess…you’ve heard hundred of unbelievable stories about the gorgeous State of Michigan but you’re not quite sure where to start looking for a home yet, am I right? Well you’ve found the place to be! The Toth Team is here to use our diverse resources and assets to help YOU find the home that you deserve. Your needs are just as important as ours and we want you to feel comfortable and secure in your new home. We will do anything it takes to find you the right home in the right area. Change is not easy, so take a deep breath and relax because you are now in the best hands possible! Ann Arbor, Michigan is home to the University of Michigan! We are proud to cheer on our Football Team in Ann Arbor’s brand new stadium! There is no place quite like Ann Arbor on a fall Saturday afternoon when the leaves on the trees are a breathtaking mixture of gold, orange, red and yellow and every house on the block is hosting a welcoming tailgate party before the football game. 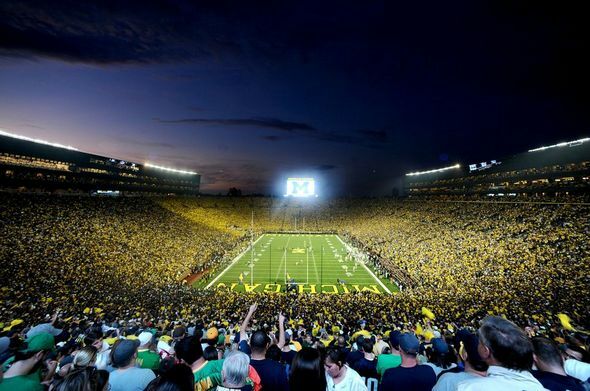 Michigan’s Stadium symbolizes pride for locals and we would like you to join in on the action! We have sold homes to many local and foreign investors who are interested in living near the University of Michigan and they are thrilled with their new homes, and we know you will be too! T he Toth Team has mapped out every square inch of this town and we are experts at this field! The market is hot and you don’t want to miss out – this is the time and place to buy! We are willing to market your home in native languages globally and go the extra mile that other agencies will not. Foreign investment in the US residential real estate market have grown 35% in the last year to more than 92.2 billion dollars, and we want you to get a piece of that pie! 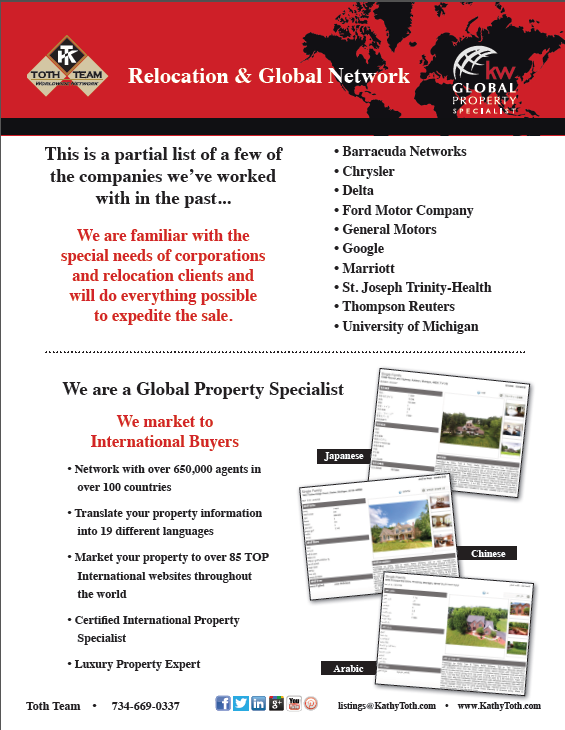 The Toth Team takes ADVANTAGE of global marketing for our listings. 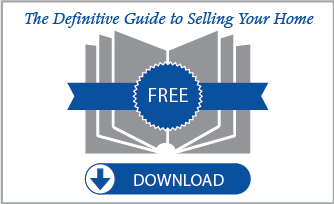 This is important to get your listing maximum exposure worldwide. 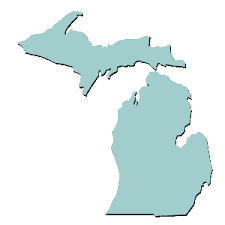 Michigan is full of opportunities and with that comes growth! The Toth Team is continuing to grow and improve daily with new technology and effective test methods. We want you to make your own memories here in Ann Arbor, with us! Kathy Toth and Team works hard with Keller Williams Realty to provide homes and excellent customer service you won’t find anywhere else! Remember, we can assist with all your Ann Arbor Area Real Estate needs. Contact us today so we can help you find the home of your dreams! For your current and the most comprehensive Ann Arbor Area Real Estate market information including absorption rates for Ann Arbor, Chelsea, Dexter and Saline click here. Keep up-to-date on your local neighborhood and have the report sent directly to your email inbox. 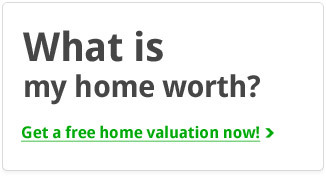 Call the Ann Arbor Real Estate Experts at (734) 426-6669. We are here to help you achieve your Ann Arbor, Chelsea, Dexter, and Saline Real Estate goals.